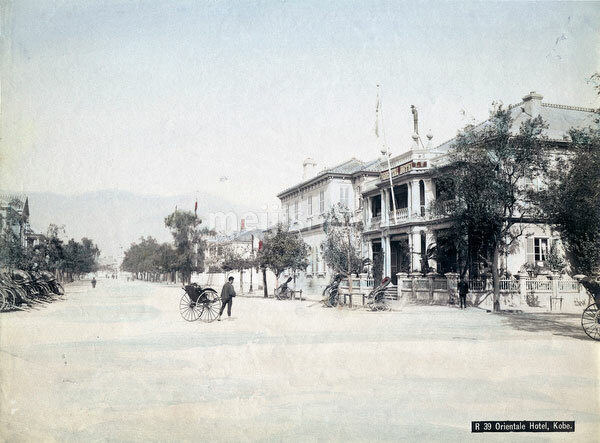 A rickshaw puller stands in front of the original Oriental Hotel at no. 81 Kyomachi in the foreign settlement in Kobe, Hyogo Prefecture. See blog entry for the history of the Oriental Hotel.